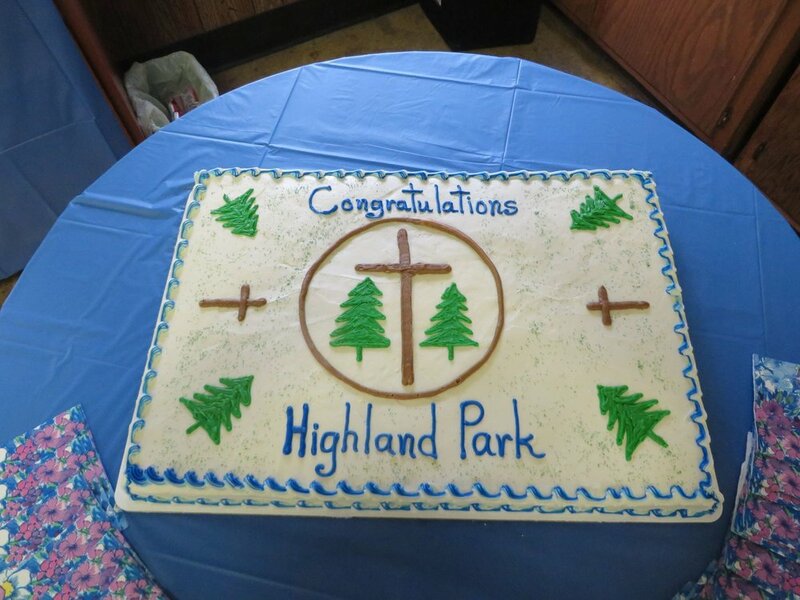 Highland Park Camp Meeting turns 125 this year, and she's looking pretty amazing considering her age! Highland Park Camp Meeting was founded in 1893, and if you are new to our community, you will notice that this is kind of a big deal for all of us, so we are truly celebrating this place that God gave us to worship together, and the wonderful community that has maintained it for so long. We are planning on sharing our story throughout the year, so stay tuned. Just a reminder that our Annual Mid-Year Banquet is coming up this Sunday, January 14th. Reservations are $10/person ($5 ages 4-6) and can be purchased right through our website. We hope to see you there! 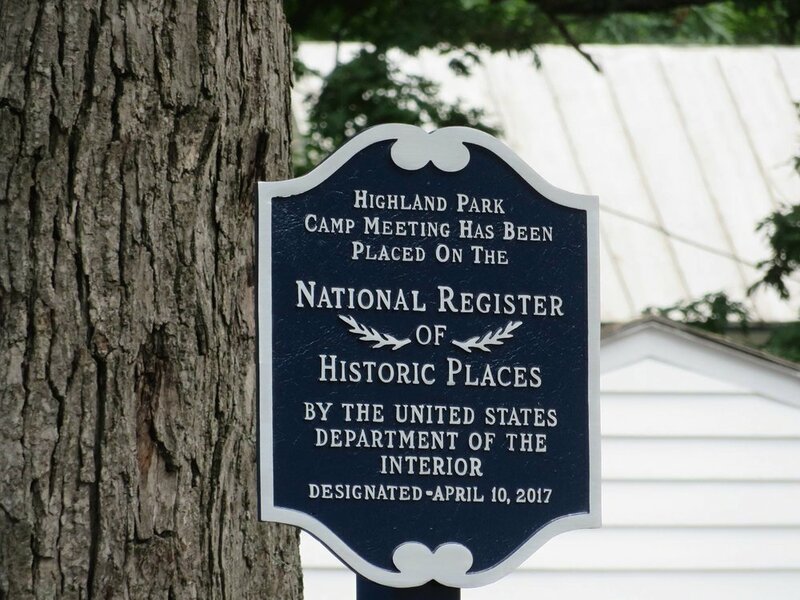 Highland Park is now officially on the National Register of Historic Places as of April 10, 2017. This was a huge undertaking initiated by Merle Landis in partnership with the West Rockhill Historical Society. Hats off to Larry and the rest of the Highland Park Historical Committee for finishing what she started. Highland Park qualifies for the National Register because, in addition to its historic integrity, location, design, and workmanship, Highland park is a prime example of how the camp meeting movement developed, and also demonstrates specific styles of architecture, as well as demonstrating typical camp meeting layouts in the late 1800s. Why is this so important to Highland Park? Highland Park will receive extra consideration in the future for planning for projects that have federal involvement. 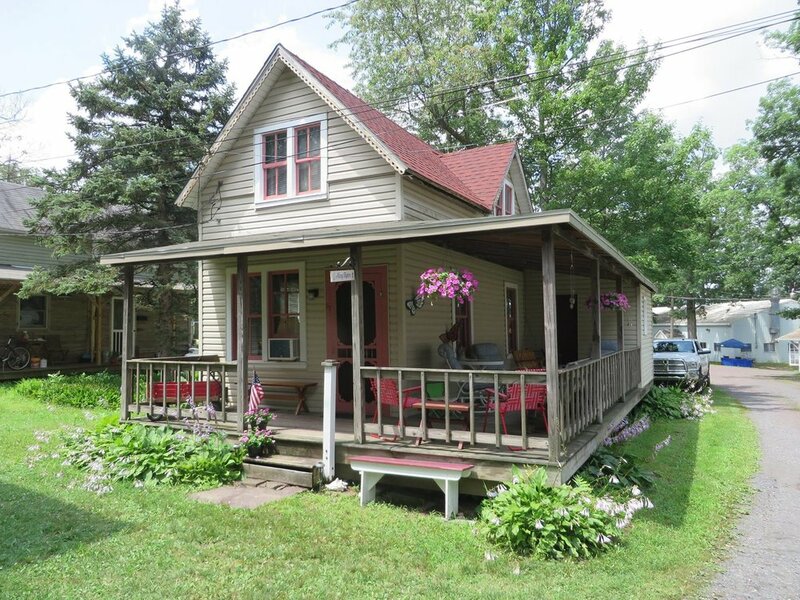 Highland Park is eligible for a 20% federal historic rehabilitation tax credit. Highland Park is eligible for historic preservation grants. 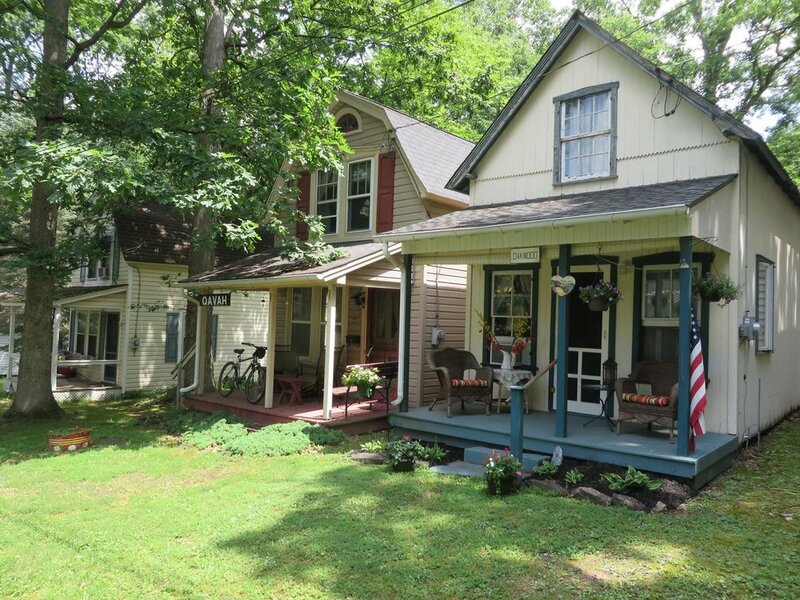 The meeting in Harrisburg was videotaped, and it contains some interesting historical information about the Park, it's cottages, and it's place in U.S. History. Because of high noise in the room, much of the speaking was difficult to make out, so we are giving you a cleaned up version that is much easier to listen to. If you happen to hear high-pitched chirping, it's what was left over after almost all of the room noise was removed. Enjoy. On July 15, 2017, Highland Park held an Open House to celebrate its new historical status. Park and cottage tours were led, Musicians performed, refreshments were served, and the West Rockhill Historical Society gave an incredible presentation on the History of Highland Park. They also lead a moving dedication to Highland Park's spiffy new plaque. 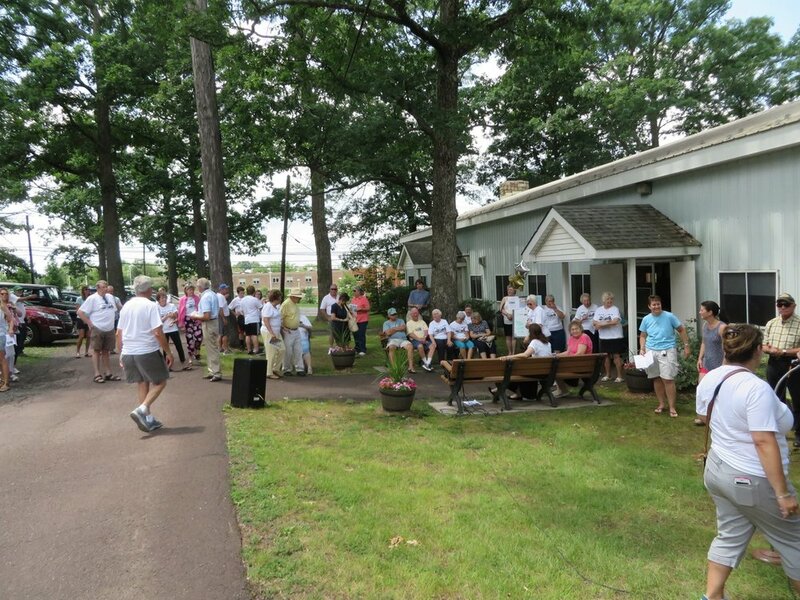 The event was organized by Karen Van Arsdale, and it was well-attended. If you missed this event, We have some pretty amazing pictures in the gallery below. 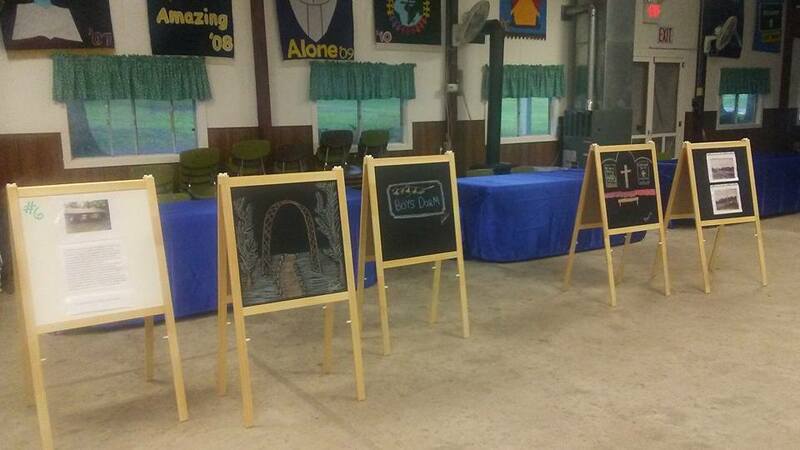 Thank you to everyone who helped out with, participated in, and attended our Open House!